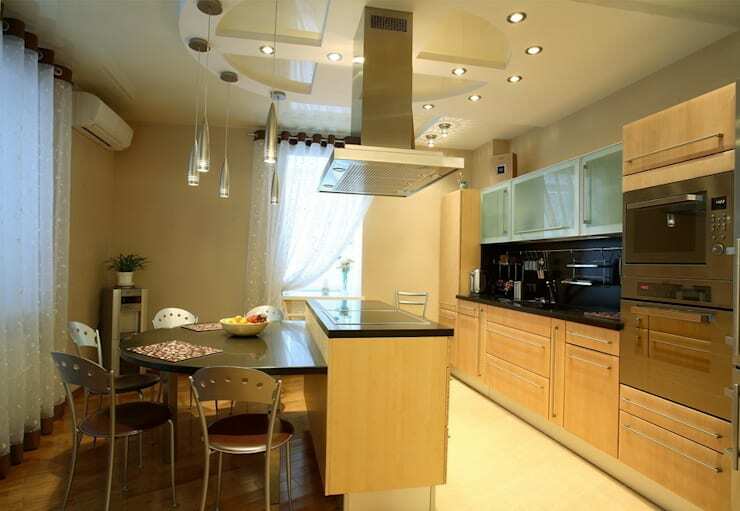 How to plan a place for kitchen furniture and appliances? Cooking up a new kitchen layout? 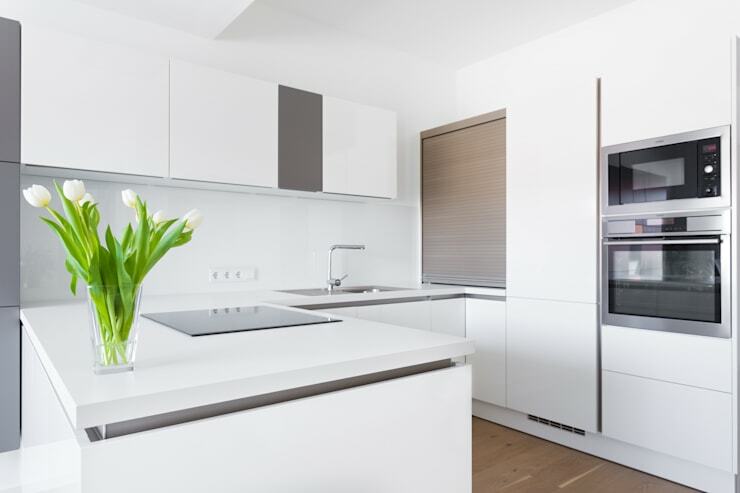 If you are in the early planning stages, you'll probably be considering the placement of kitchen appliances and furniture. Before we consider the placement of each item, we should start with a reminder of the classic working triangle. This is the flow between your cooktop, fridge and oven. It doesn't necessarily need to be a triangle, but it should allow for unimpeded and easy flow between all three working areas. There should never be a kitchen island blocking access. In an aesthetic sense, it's also important to consider the visual balance of the space, so it's best to avoid loading up one side of the space so it looks overly heavy. Finally, most modern kitchens are quite small, so take care to avoid buying anything that's disproportionally large for the space. 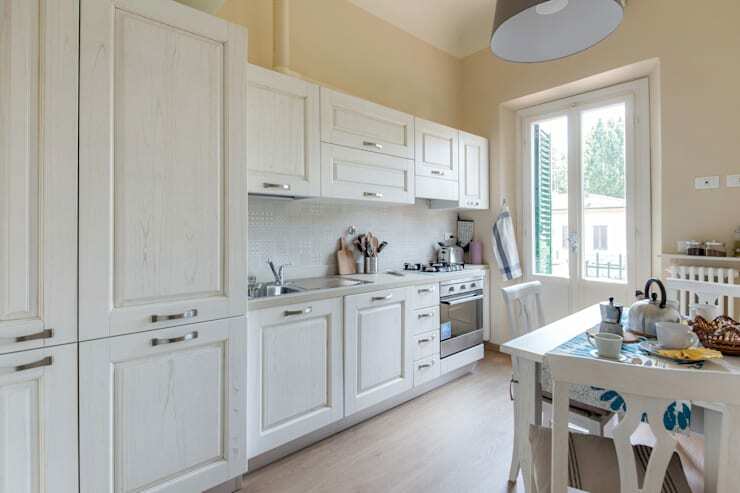 Fancy appliances are all very easy to fall in love with, but don't the most common complaint about kitchen layouts is the lack of bench space. 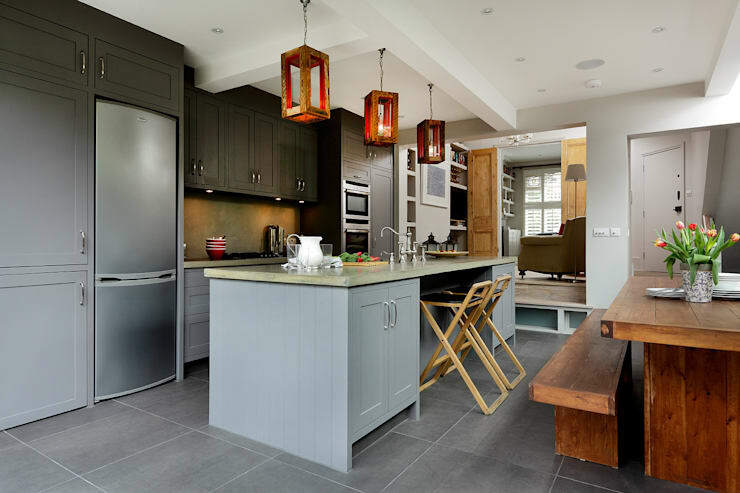 So if your kitchen is small, consider smaller appliances and maximise that precious bench space wherever possible. So let's get on with working out how to place your kitchen furniture and appliances. Enjoy! With a kitchen island or without? On paper, a kitchen island can seem like a very easy way to create the perfect working triangle. It could house your sink, a microwave in a drawer, a cooktop or just provide a whole lot of extra storage space. As seen here, it can even be integrated into a kitchen table. But unless your island is 4 feet long and 2 feet deep, it's not really much use. You'll also need room for people to move and work around the island. In all, it's best to avoid a kitchen island if your kitchen is smaller than 8 feet deep and 12 feet long. Where to place the kitchen sink? The kitchen sink is the one work area that will form the basis of your layout. This is because you'll often need to work with the existing plumbing. If the existing layout is truly a mess and you have the budget, the costs of moving around plumbing will easily escalate and should be considered quite early on in the planning stages. Major electrical appliances should be placed well away from the sink to avoid water damage. We tend to spend a lot of time at the kitchen sink, so it's always a good idea to give yourself a nice view. This may just mean creating a lovely wall display or beautifying a window view. But if you have chosen to install your sink on a kitchen island, this can be a really great way to help integrate the kitchen into the living room. It will be easy to interact with guests or monitor children while cooking. Perhaps you could even watch television while working. In a classic oven setup, the cooktop and oven are combined into one unit. But separating the two will provide more flexibility. 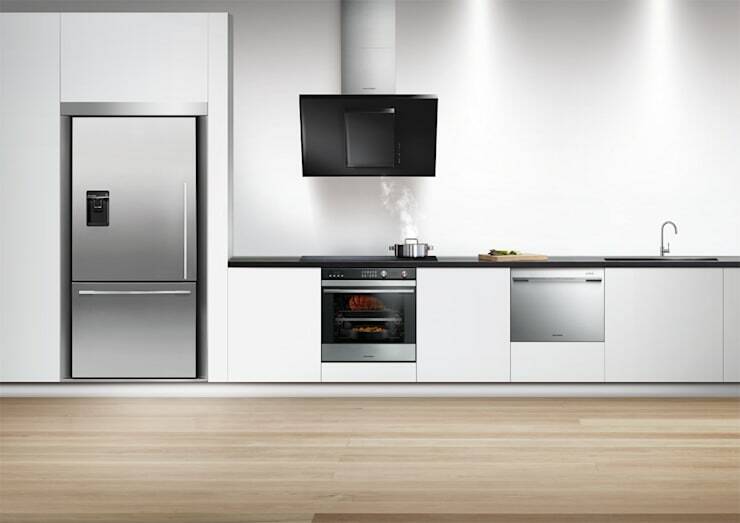 A tall wall oven like this could be combined with a microwave or convection oven for a seamless look. The height will also help avoid the strain of bending over to reach an all-in-one unit. Whatever set up you choose, make sure there's lots of bench space close by so you're not running around the kitchen looking for a place to rest hot dishes. The fridge should be placed away from direct sunlight to avoid ambient heat. Similarly, it should be placed away from the cooktop and oven. Don't forget that it's often possible to ask for the door swing to be adjusted to open to the left or right. This will help avoid door jam. Some find it helpful to keep the fridge near the microwave because it's easy for reheating food. But it's more important to have the fridge close to the entrance-way of the kitchen for easy access. That will help avoid the need to cross the kitchen to get something. It will also help you load up the refrigerator on shopping day. Clean up time is one of the least popular activities, so it's really important to make it as seamless and easy as possible. The obvious spot for a dishwasher is directly beside the kitchen sink. This will help you scrape, rinse and stack dishes. It's also helpful when you are emptying the dishwasher. It's also helpful to place the dishwasher near the recycling and garbage set up for easy clean up. Every kitchen has some under-utilized storage space. Sliding drawers are often a good way to make sure that it's easy to access larger items. 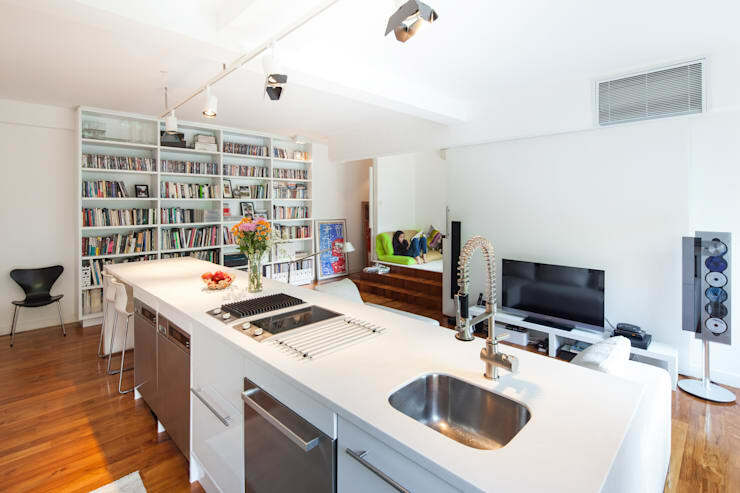 It's also good to really think carefully about wall/vertical space in a smaller kitchen. Don't forget to make the most of that out of reach area above the fridge. The upper and lower cabinets of an oven wall unit are an ideal place to store food as well. One last tip, smaller kitchen appliances can get a little cluttered on your countertop. But at the same time, they don't get used if they are hidden away. An appliance cupboard is a great solution for this. It's simply a storage area at bench level with a hutch that can be raised for easy use. You could even install a few electrical outlets inside so you don't need to be fiddling around with cords. If you are thinking of kitchen refurbishment, you'll love this Ideabook How do I clean and maintain my kitchen equipment? What do you think of these kitchen planning tips? Do you have any more to add?